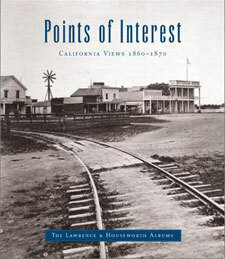 This exhibition featured the unique, historic photography collection of noted San Francisco photography publishers Lawrence & Houseworth. Showcased were three extraordinary albums compiled throughout the 1860s and early 1870s that have been hailed “without doubt the finest single pictorial record of the maturation of Northern California and the Pacific Coast following the rambunctious days of the Gold Rush and statehood.” The albums have an enormous range of stunning views portray the early industries of mining, railroads, transportation, urban, and natural landscapes unique of California, as well as the evolving art of American photography during 1860-1870. 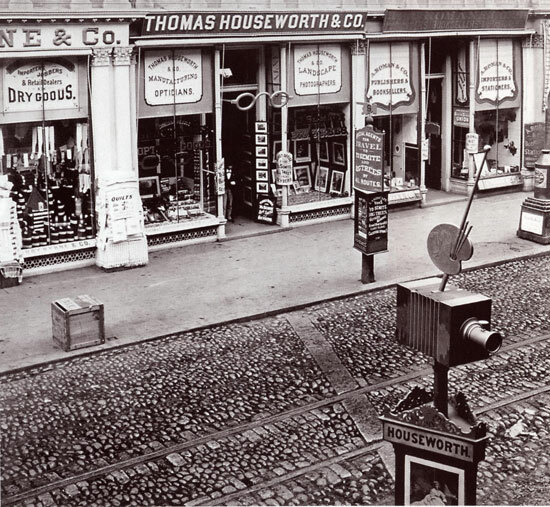 A team of independent scholars and historians contributed interpretive essays on major themes drawn from the collection and considered the historic role of photography and the influential photographers and partners who helped to create the legendary enterprise of Lawrence & Houseworth. Included in the exhibition were over 400 photographic reproductions, dozens of stereographs, carte de visites and cabinet cards, stereoscopes, period ephemera, an orientation video, an interactive CD-ROM with a searchable image database, and, of course, the original Lawrence & Houseworth Albums.